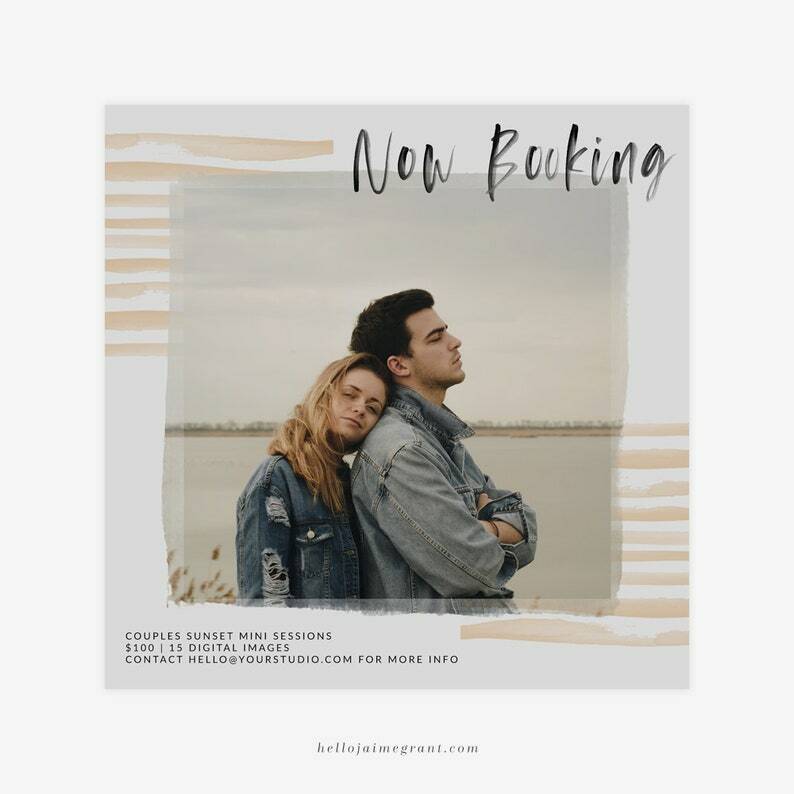 "Watercolor Stripes V2" is the perfect photoshop template for photographers to use for marketing mini sessions, senior sessions, engagement sessions, weddings, and boudoir sessions on social media feeds. Sized at 5 inches by 5 inches, it's perfect for uploading to Instagram and to send to a printing company to create flyers and postcards to send to past clients. "Now Booking" is a gorgeously hand lettered design element (text is non-editable), while the rest of the text is in a modern, minimalistic font that is fully editable.